Welcome to the online home for Posers Hollywood! Please, take a look around, click on some stuff and contact us if you have any questions or need any assistance. If you're in the area, make sure to stop by and hang out for a bit. We'd love to have you. Posers Hollywood has been in the business of helping our clients look good since 1990. Our goal is to bring the best of British fashions and subcultures to the world. 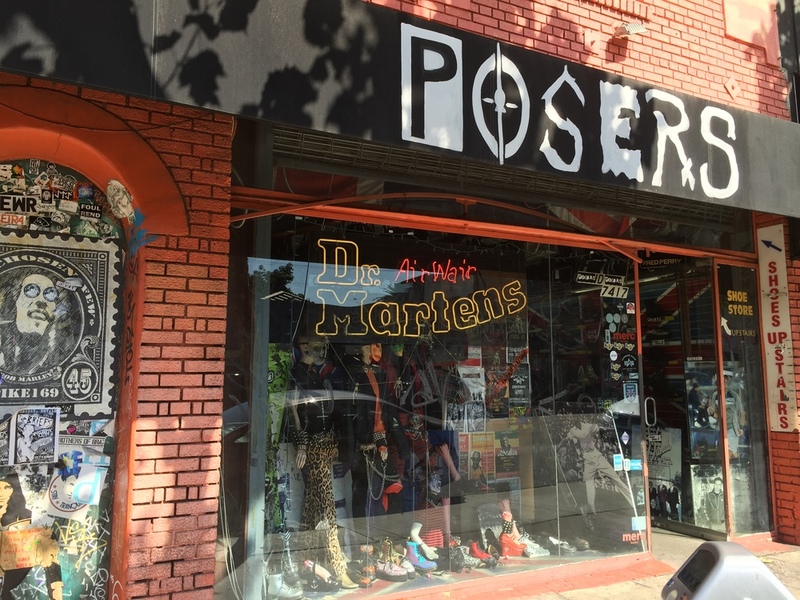 We have 3 stores on Melrose Ave all dedicated to British clothing. With the world's largest selection of Fred Perry, Dr. Martens (over 700 styles!!) and creepers, you're sure to find something to wet your whistle with. Don't you hate it when websites make you click around and search for the info you need? Same here.